How powerful is your memory? Your brain has more than a trillion synapses, which is equivalent to a 2.5 million gigabytes (2.5 petabytes) of memory storage. That’s enough to hold three million hours of TV shows. As powerful as human memory is, most of us would like to get better at remembering. This is true whether it’s to get an edge on a test or remember the name of a person we met over the weekend. That’s why I created this ultimate guide to improving your memory. It’s loaded with science-backed insights into how memories are formed, memorization techniques, nutrition, and more. You don’t have to memorize everything here, but you might be able to if you apply all of the tips. Before we dive into specific memory improvement strategies, it’s important to understand how memories are formed in the first place. Just like a mechanic understands how a car functions before tuning it up, you should understand how your memory functions before you start shoveling information into your brain. When you take in information through your senses, the brain holds it for no longer than a few seconds, if that. Imagine yourself taking a walk through a city: you might see various buildings, smell the air, and feel a breeze, but very little of this information makes its way into your memory. However, if you encounter a specific person and converse with them, your brain could deem this input as important and therefore enter it into your sensory register. Continuing with the same example, let’s assume the conversation you had is particularly important and this person gives you the phone number of the CEO of the company you dream of working for. There’s only one problem: you don’t have your phone on you. This is where working memory comes into play. Working memory refers to the brain storing information with the purpose of, well, working with it. This is the most important stage of the memory-forming process because it’s when you have the most control over the information (we’ll address several memorization techniques later on). So, you repeat the phone number over and over aloud to yourself until you get your hands on a pen and paper. The digits were fragile in your working memory, but they survived nevertheless. Let’s say you call the CEO and eventually land the job. Chances are that phone number will be seared into your long-term memory for two reasons: you told yourself that information was important, and you repeated it over and over. It’s now in a permanent vault where it will remain indefinitely. Long-term memories are solidified (literally) when information from the working memory is copied over into the hippocampus enough times, causing physical connections between the brain’s neurons and synapses. The more you retrieve that memory (such as when you tell the story to your kids someday), the stronger those connections become. So, there you have it: the life cycle of a memory from a sensory stimulus all the way to a story that will live on for generations. The method of loci (“loci” is Latin for “places”) is a mnemonic strategy which dates back to ancient Rome and Greece. In this imaginal technique, the subject envisions a familiar geographical space, such as their house, and associates the information they need to remember with specific places inside the house. The method of loci is based on the notion that we remember things we’re familiar with. By metaphorically “placing” a piece of information somewhere like your dresser drawer, recalling it can be much easier than trying to memorize it without context. Visualize a space you’re familiar with, such as your house. Make a physical copy if necessary. Consider the rooms, hallways, furniture and so on in that space. Imagine yourself placing each item that you want to remember at one of the locations. Perhaps you place “parietal lobe” on the couch. When you want to recall the items, simply visualize the space and go through it room by room in your mind. If you’ve repeated the exercise enough times, the items that you’ve associated with specific locations should come to mind. If you’re skeptical, consider the fact that many memory athletes credit the method of loci for their almost superhuman ability to recall faces, numbers, and lists of words. An alternative to the method of loci is the mnemonic peg system, which works by associating specific words with a series of numbers they represent (like 1 to 10.) The numbers function as “pegs” from which to hang pieces of information. The peg system usually links nouns to numbers and works especially well when the nouns rhyme with the numbers. Make a list of the items you need to remember. Mentally hang a picture of the first item on peg number one. Continue adding items, one at a time. First peg: femur, second peg: tibia and so on. After you hand all the items on the pegs, review all of them in order. If you review the items on your pegs frequently, you should be able to recall them, even if they’re out of order. For example: peg six is “oxygen.” The peg system can enable more efficient recall since you’re giving numeric structure to arbitrary words or objects. The Major System is a memory technique that is tailor-made for remembering long strings of numbers. By binding each digit from 0-9 to one or more consonants, the system allows you to create words out of number pairs. From there, you can create lists of words (which are already easier to remember than abstract numbers), and then come up with stories that help you remember the order of the words. If you’re curious (and want to fully understand the example below), take a look at this list of the Major System’s number and consonant pairings. Note that all vowels (and a few consonants) do not have number pairings. These are left un-paired in order to help you form words more easily. Re-format the number into pairs: 53-58-67-53-09. Using the table I linked to above, create words from your number pairs (we’ll ignore silent letters and rely on how the words sound): lamb (5-3), live (5-8), shock (6-7), limb (5-3), sob (0-9). Create a story using your words in order. The more ridiculous it is, the easier it will be to remember. Here’s mine: A lamb was lucky enough to live through a powerful electric shock, though he did lose a limb to it. This caused him to sob. To remember your number, work backwards. Recall your story, then recall the words that make it up, and finally translate each word back into its number pair. Using the Major System on its own is useful for remembering short numbers, but it gets really powerful when you combine it with the Method of Loci. You could (and our founder Thomas has) split an incredibly long number into several 10-digit chunks, create a story for each one, and then bind that story to an item in your memory palace. The Method of Loci helps you easily remember the order of your stories, and the stories likewise help you remember the order of the numbers. In fact, this combination of techniques is how many memory champions learn to memorize hundreds of digits of pi. In terms of improving memory, most of us prioritize the input of new information. However, it’s equally important to understand how to forget less information. In other words, retention and acquisition go hand-in-hand. The process of forgetting is best understood through the Forgetting Curve, which illustrates the relationship between time and how well our brains store information. As you can see, the information you learn disappears exponentially after initial input. You can generally expect to forget 90% of what you learn within one month if you don’t make the effort to remember. Your brain may be wired to forget a lot of information, but luckily there’s a way to combat that tendency. Hermann Ebbinghaus, a pioneer in the field of memory science, discovered that our rate of memory decline falls each time we reinforce information that we previously learned. He called this the spacing effect. You can use the spacing effect to your advantage by using spaced repetition to memorize information. Instead of absorbing a large amount of information at once and trying to hang onto it, spaced repetition entails breaking that information into small chunks and reinforcing it consistently over an extended period of time. Not only has the spaced repetition method been proven to combat the forgetting curve, but it makes the task of memorization less intimidating by breaking down the seemingly impossible task of memorization into manageable chunks. 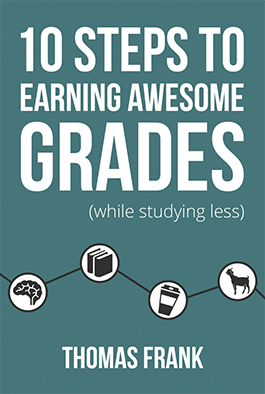 Suppose you’ve been studying for a lengthy exam in a dorm room or apartment. You’ve implemented all the right memorization techniques, you’re well-rested, well-fed and so on. But when you sit down at your desk in the classroom, you blank out. Chances are you’ve fallen victim to context-dependent forgetting. Research suggests that we’re prone to reduced memory performance when we attempt to recall information in a different environment from which it was encoded. However, you can reduce the effect of context-dependent forgetting with the context recall technique. With this strategy, you encode information in the same environment (a classroom) in which you’ll be asked to recall the information at a later date. You might even wear the same outfit or drink from the same water bottle. The context recall technique leverages state-dependent learning: the idea that we remember information more easily when our physiological states during encoding and recall are the same. 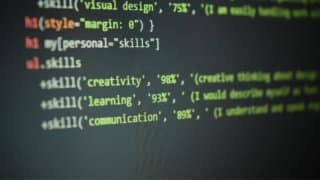 State-of-the-art terms like biohacking might grab your attention when you’re searching for ways to improve your memory, but sometimes the most effective strategies are as old school as you can get. According to a study by psychologists Pam Mueller of Princeton and Daniel Oppenheimer of UCLA, writing notes by hand instead of typing them on a computer yields better memory retention and a deeper understanding of the subject matter. The researchers asked a group of college students to listen to a lecture — some transcribed it on their laptops while others took a longhand approach. After the students had a week to review the material, those who took notes by hand performed significantly better than the typists in both factual recall and higher-order conceptual learning. With more than half of students using laptops during class time, swapping your machine for a notepad may be the easiest and cheapest way to get a leg up on your peers. While many people use caffeine to help them wake up earlier or stay up later, caffeine’s memory-boosting benefits go beyond keeping you up for an all-nighter. In fact, a recent study found that ingesting caffeine prior to creating new memories had little-to-no effect on people’s ability to retain them. However, when subjects took a 200-milligram caffeine pill (roughly two cups of coffee) after being asked to memorize a series of pictures, their memory recall improved over a 24-hour period. This might seem confusing: how could drinking a coffee after studying be more beneficial than keeping you awake beforehand? As we noted earlier, memories are quite fragile when your brain first records them, so if you’re able to stay alert in the hours after taking information in as opposed to crashing immediately, that memory has a better chance of surviving. Keep in mind that not all fats are the same. Don’t confuse omega-3s with saturated or trans fats that are present in fried foods and red meat. If you scope out a university library in the middle of the night, you’re likely to find several zombie-like students trying to cram as much information into their brains as humanly possible. (Maybe you’ve even been that person). While this might produce a short-term miracle for some, it’s far from being a sustainable strategy. Instead, you’ll want to give your mind ample time to rest in order to optimize your memory. Think of memorization like physical exercise. You break down muscle tissue for an hour or so, then spend the next day or two recovering to come back stronger. The activity-to-rest ratios for memorization are different, but the principle remains the same. It sounds counterintuitive, but your body is insanely productive when it sleeps. Whether it’s building muscle or retaining memories, the real magic happens while you lie motionless in bed. It’s tempting to forego sleep to “learn” more information, but sacrificing recovery time can cause all of that hard work go to waste. Research from the Division of Sleep Medicine at Harvard Medical School suggests that memories undergo a critical process called consolidation that can only occur during deep sleep. During the consolidation period, the neural connections and brainwaves that aid in the formation of memories become stronger and more active. The debate over how much sleep humans need continues to rage, but Max Hirshkowitz, chair of the National Sleep Foundation Scientific Advisory Council, suggests that people ages 18-25 should get between 7 and 9 hours of sleep each night. Needless to say, all-nighters aren’t your best bet for a sustainable memory. Adequate sleep is like a charger for your phone. It doesn’t matter how many cool apps you download or pictures you take during the day. If you don’t plug it in, it will crash when you need it most. Another counterintuitive approach to improving your memory is practicing mindfulness meditation, which is generally used to slow the mind down. While this is true to some degree, a group of researchers at Harvard Medical School note that people who meditate gain more control over alpha rhythm — a brainwave responsible for processing information. During the course of a 12-week study, the researchers discovered noticeable changes in participants’ brain function. These included a superior ability to remember and incorporate new facts compared to the control group. Though meditation is relaxing, it also functions as a workout for your hippocampus and frontal brain lobe. Both of these play key roles in long- and short-term memory recall. During these periods of relaxation, your information storage mechanisms multiply, enabling the mind to store new memories. A separate study found that meditators improved their recall after eight weeks of mindfulness meditation and improved their standardized test scores after just two weeks. That’s quite the payoff for setting aside a few minutes each day to sit in silence.